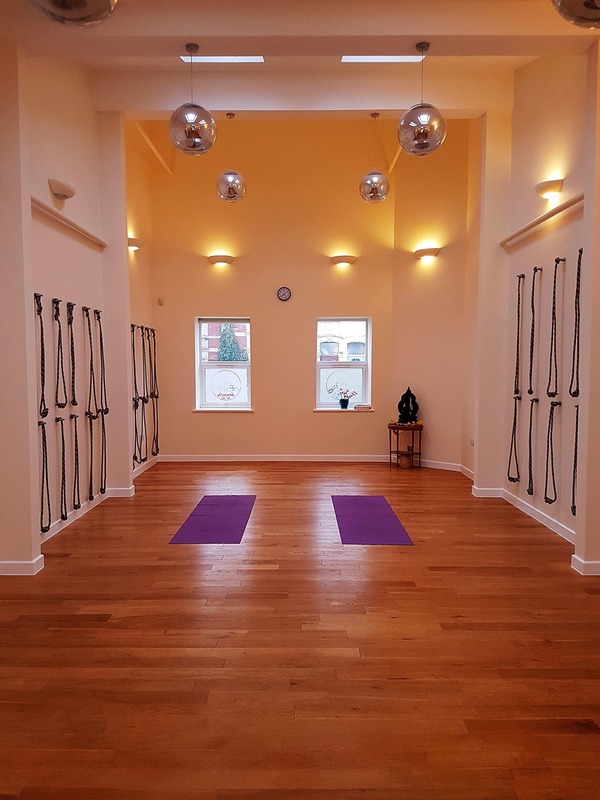 Eastern Yoga on Greenbank Road in Easton is now a dedicated Iyengar Yoga Studio with a range of classes taught by the absolute creme de la creme of Bristol's Iyengar Yoga teachers. If you haven't been to this studio before you are in for a real treat! It's a gorgeous, fully equipped, warm and welcoming space (underfloor heating ensures you'll stay toasty during your well earned Savasana!). We are super-easy to find, even if you don't know Easton so well, just a few short minutes from the M32 with plentiful on street parking (BS5 6EY NO. 46 for your sat nav), a secure bike lock up or an 8 minute walk from Stapleton Road train station. We offer foundation courses, beginners, general, intermediate, experienced, gentle and children's classes. If you are looking for a soft and fluffy yoga class, Iyengar is not the yoga for you! If you are looking to learn the poses with clear and precise instruction in classes that are sometimes strenuous and at other times blissfully relaxing, then go ahead and book in! Eastern yoga was a great space and a nice medium sized group. The instructor was very good, very articulate and thorough. You felt like you'd had a good workout by the finish. Great teachers, fabulous venue which is well equipped with small classes that enable quality instruction. Easton yoga is a brilliant spacious and light venue and Tamara was a very precise teacher. A really amazing class. The teacher is very knowledgeable and helpful. It was a great class! The venue was great, had most props apart from eye pillows. Teacher was good and I enjoyed it. Very good teacher. Clear instructions. Enjoyed the experience, will be going again. Only downside for me is that it's not on more times in the week - evenings.